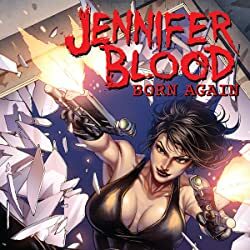 It's Jessica Blute's first day of incarceration at Las Chacales Women's Correctional Facility... and, more than likely, her last day alive! 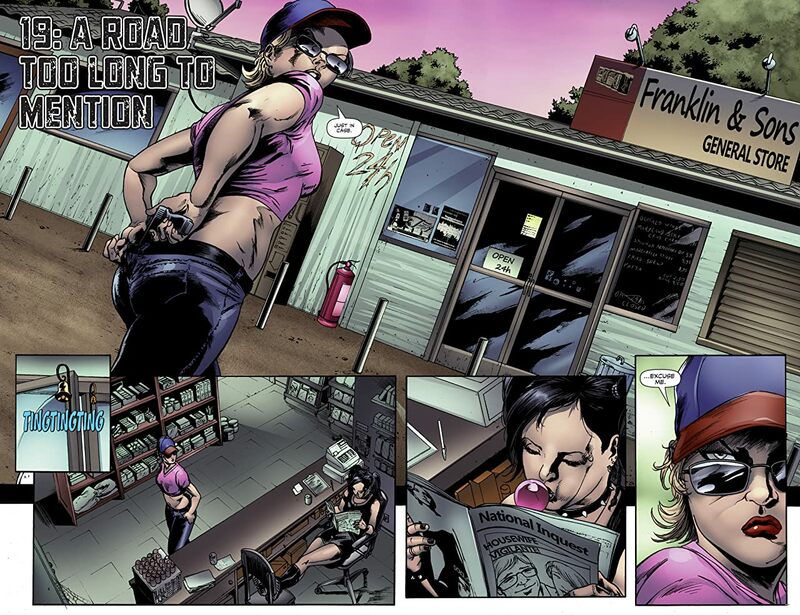 How did this model of suburban domesticity and devoted mother of two end up in such dire straits? 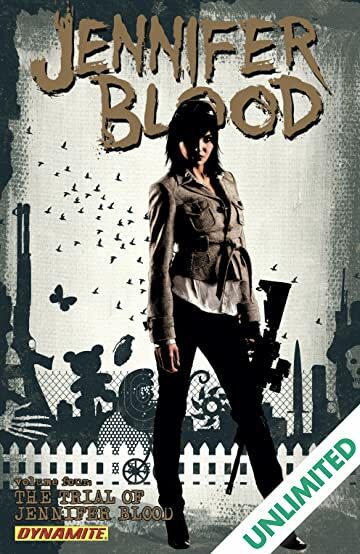 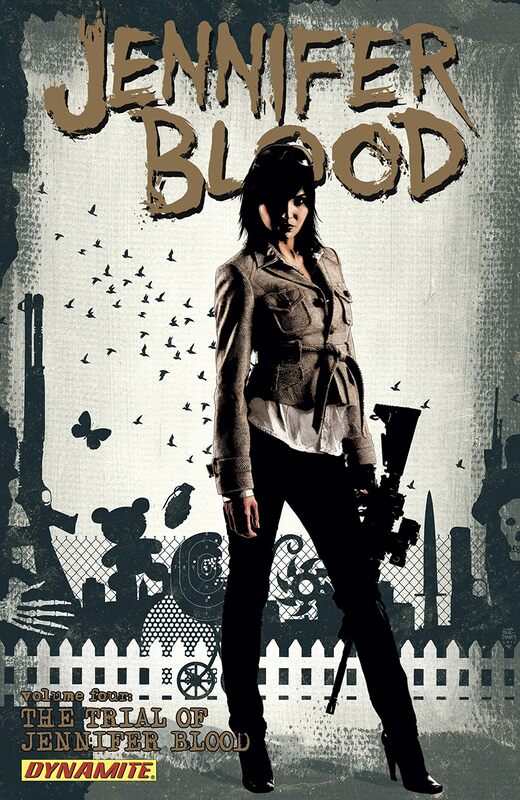 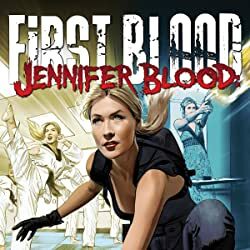 Perhaps her murderous alter-ego, Jennifer Blood, went too far in acting out the ultimate revenge fantasy against mobsters. 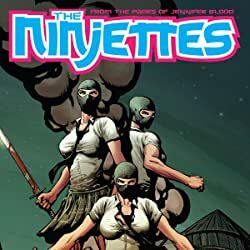 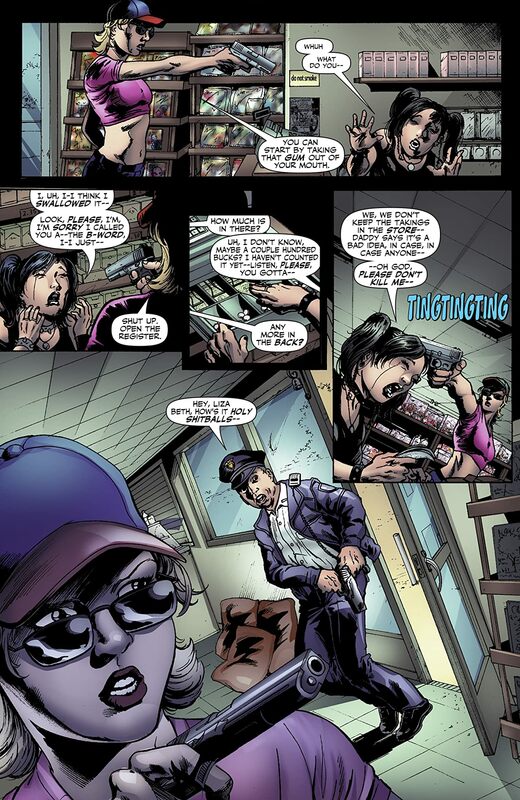 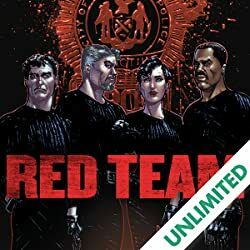 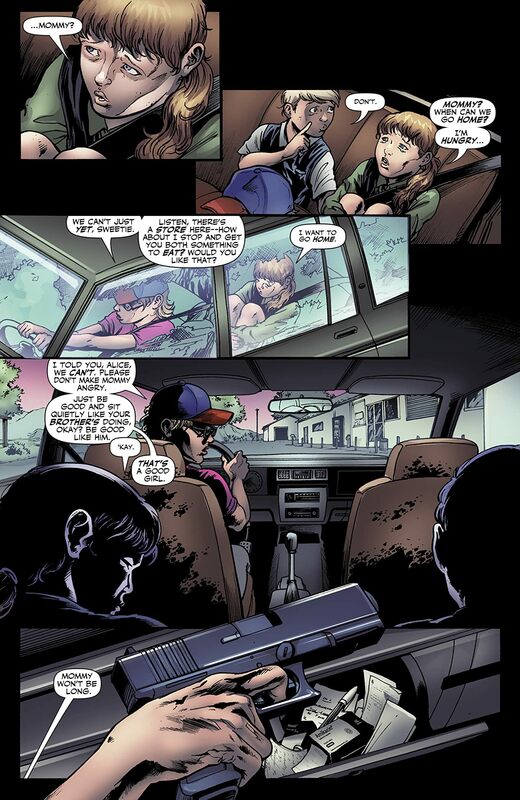 Perhaps it has something to do with the ensuing chaos when the trained assassins known as the Ninjettes, renegade police detectives, and meth dealers converged on the quiet town of Revere, New Mexico, to put an end to the vigilante. What really happened to Jennifer Blood and her children in that southwestern town... and even if she survives her jailhouse rivals, will she escape the death penalty?